It is the Canadian long weekend and although I am dreaming of cottages, lakes and camping, we are at home relaxing and taking it easy. Since I missed my weekly post last night, I am going to post something new today. An illustration that I did recently. 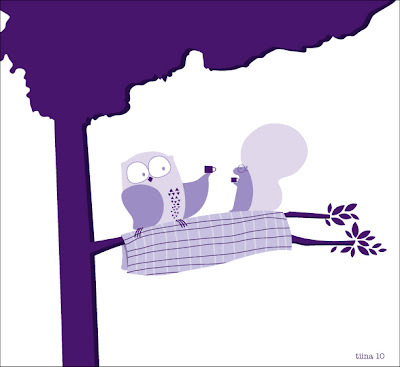 I Love, Love, Love purple so I decided to create a whimsical image of an owl and a squirrel sharing a cup a tea using different shades of purple.